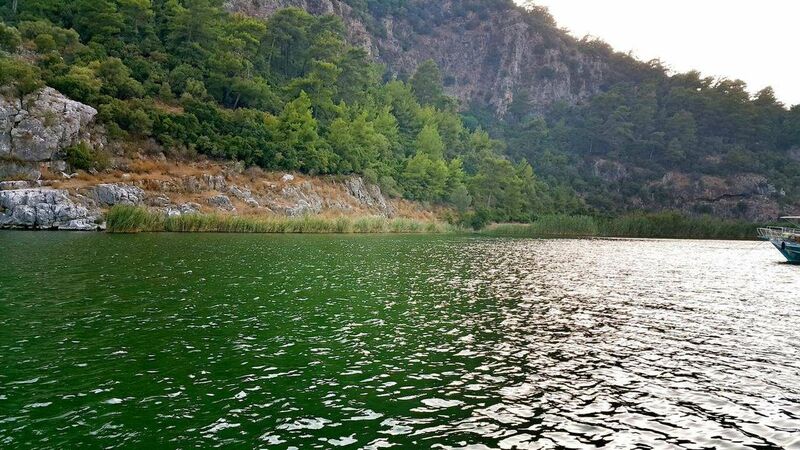 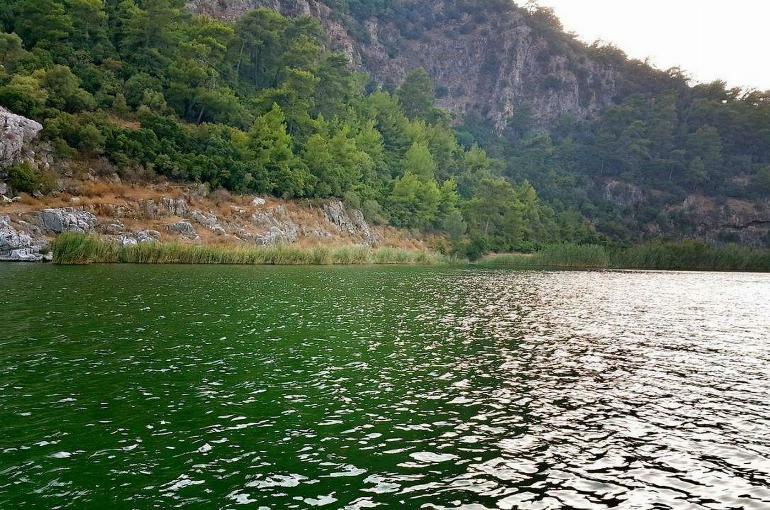 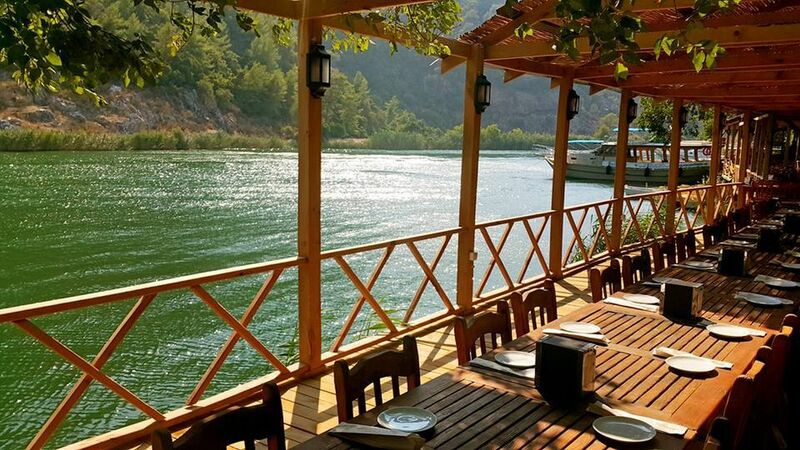 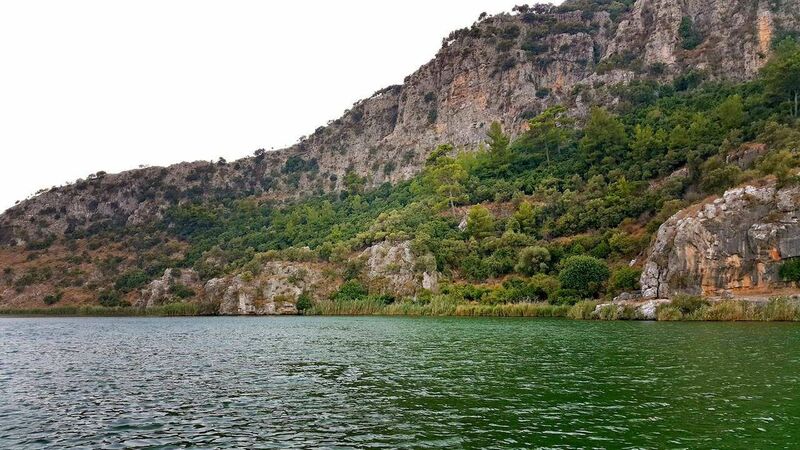 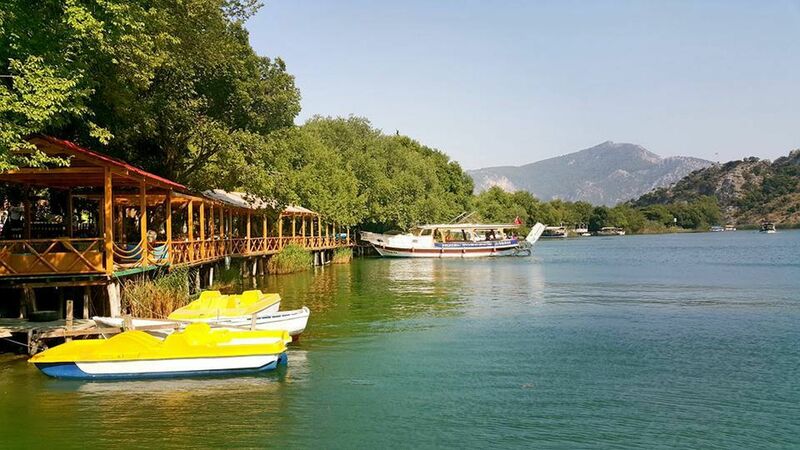 ﻿With its wonderful unique location alongside the River Dalyan and majestic pine-clad hills, and close to the point where the river meets the Mediterranean, Dalyan has everything you need for a perfect holiday. 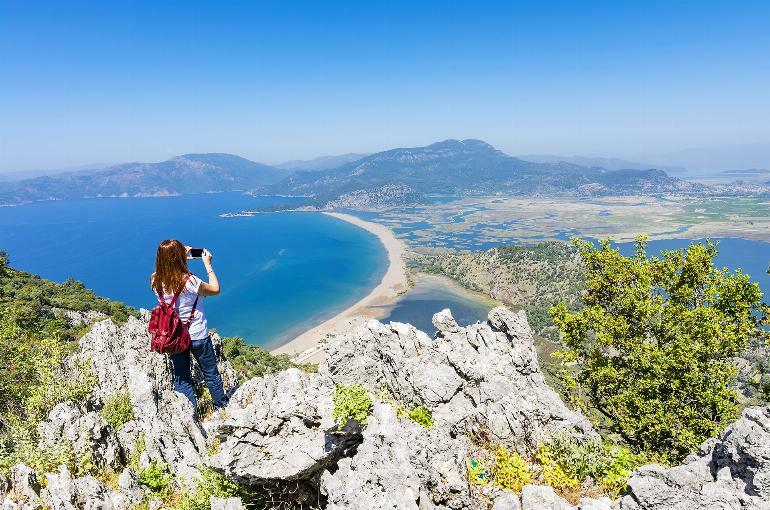 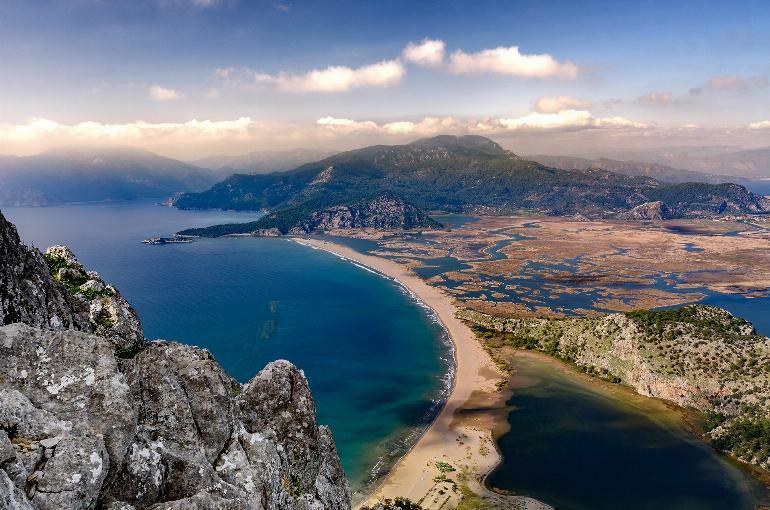 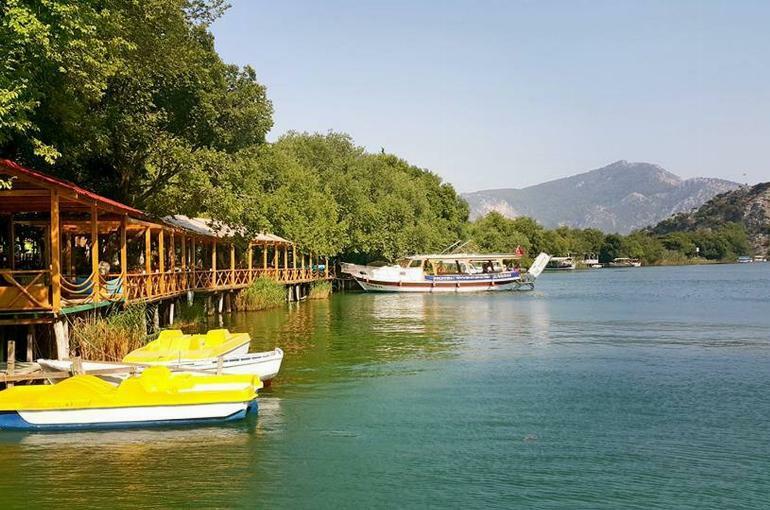 Dalyan’s beach is a long curve of sand and crystal clear waters which never gets crowded on account of the conservation status of the area (part of the beach is home to the rare loggerhead turtle). 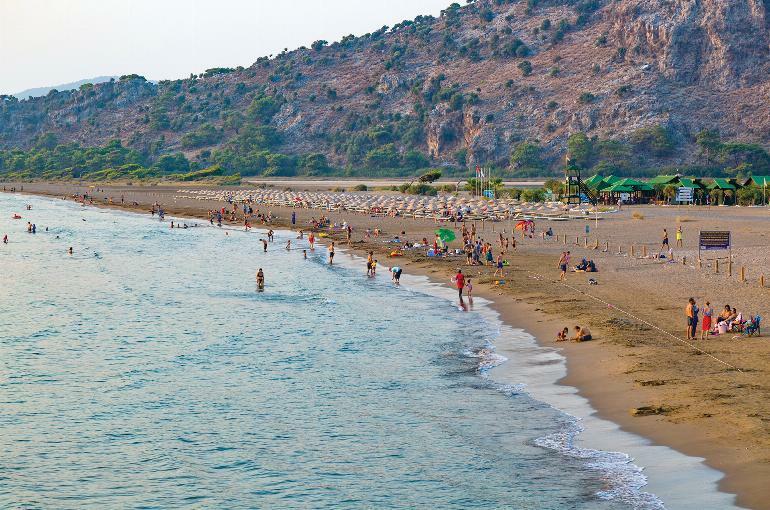 The beach has just a few bars which are ideal for a snack and a cooling drink after a leisurely swim. 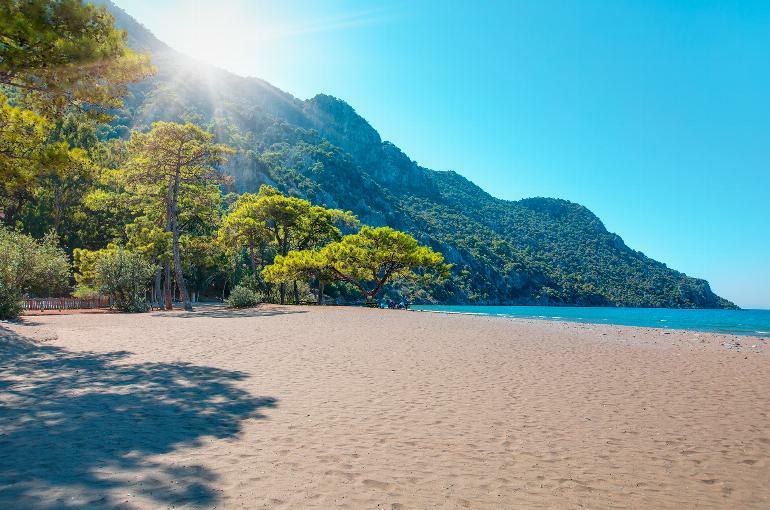 Getting to the beach is as much fun as being on it. 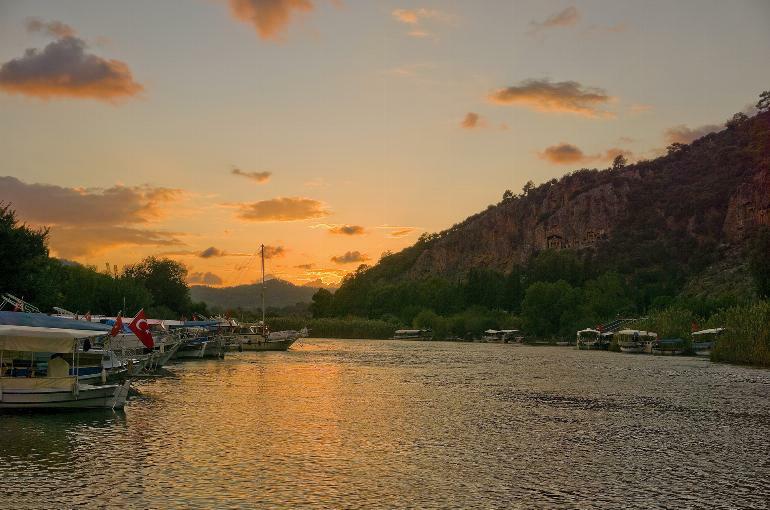 You catch a small river-boat from the harbour close to the hotel and meander down to the beach in about 30 minutes, passing the famous Lycian rock tombs on the way. 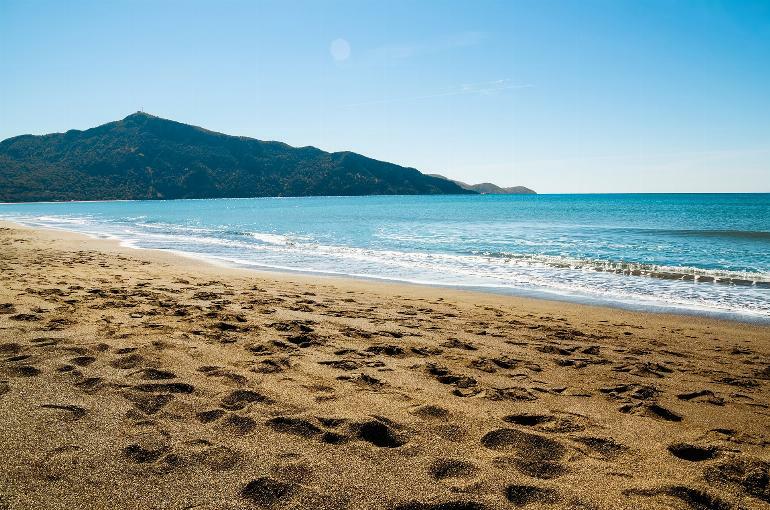 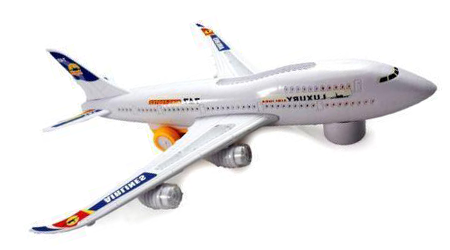 It’s a great way to get a tan before you actually get on the beach! 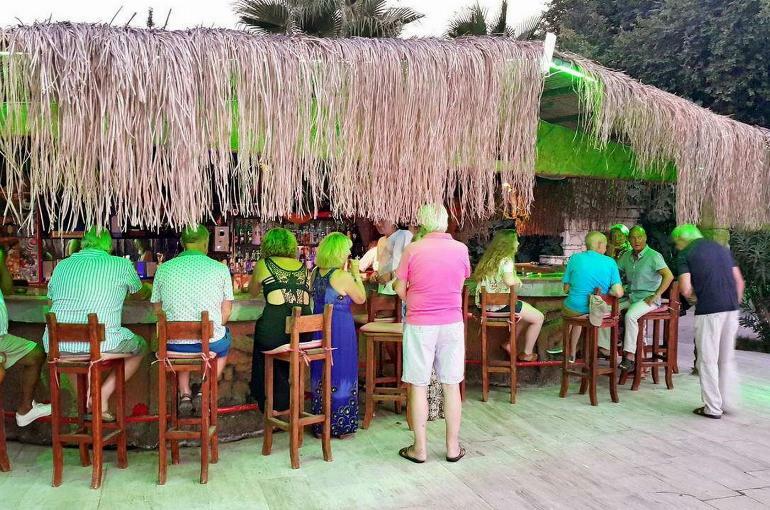 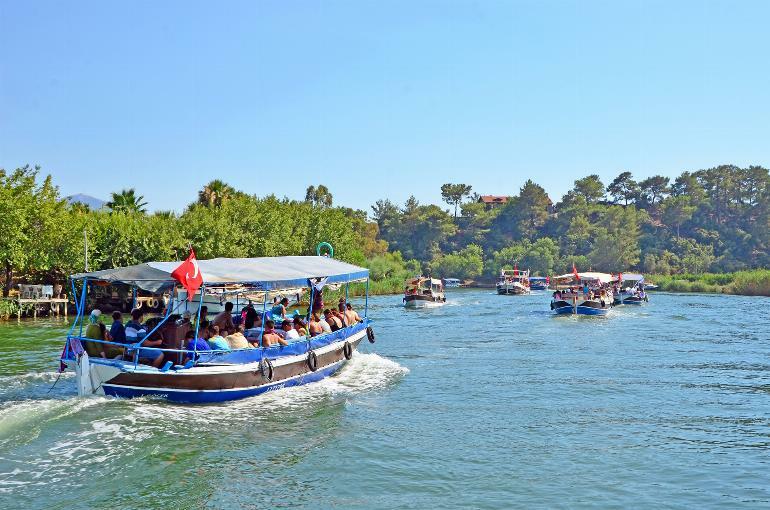 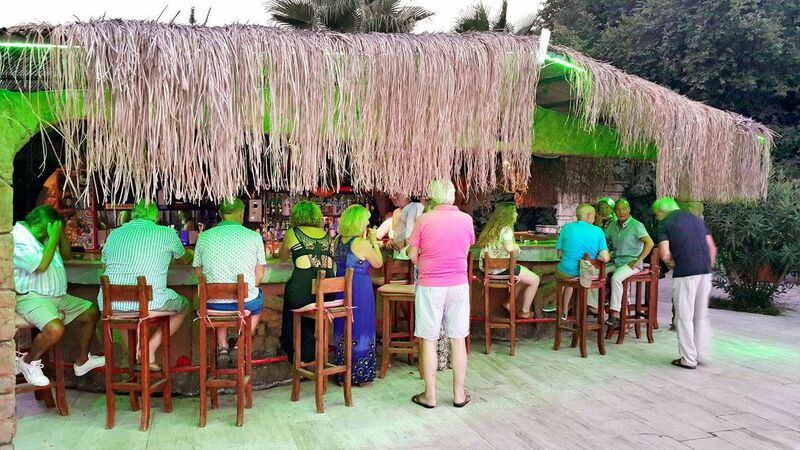 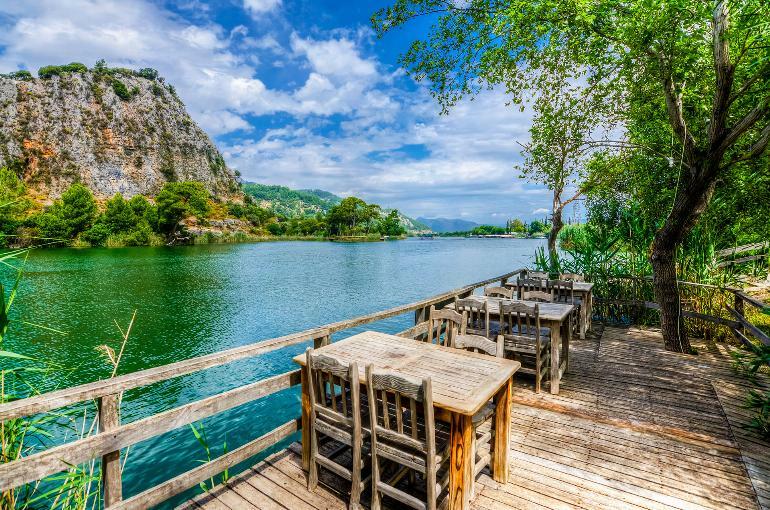 Dalyan itself is very laid-back but there’s night-life in the shape of music-bars and a disco, a wide selection of shops, bars and restaurants, a bustling harbourfront and a lively weekly market. 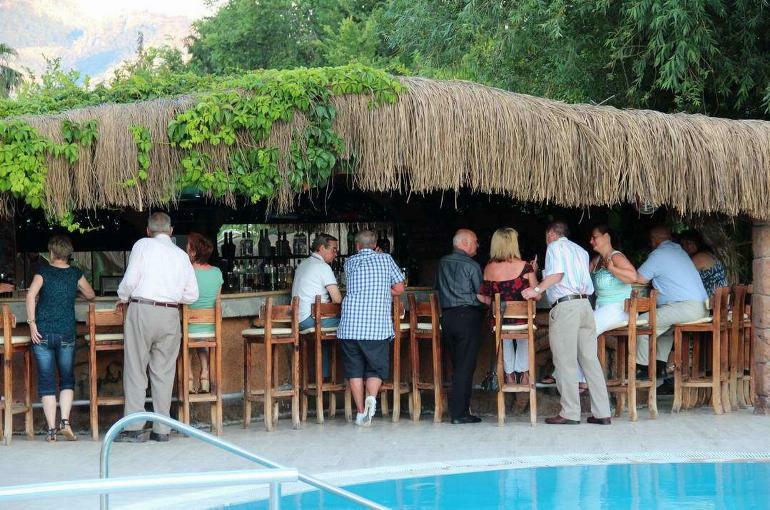 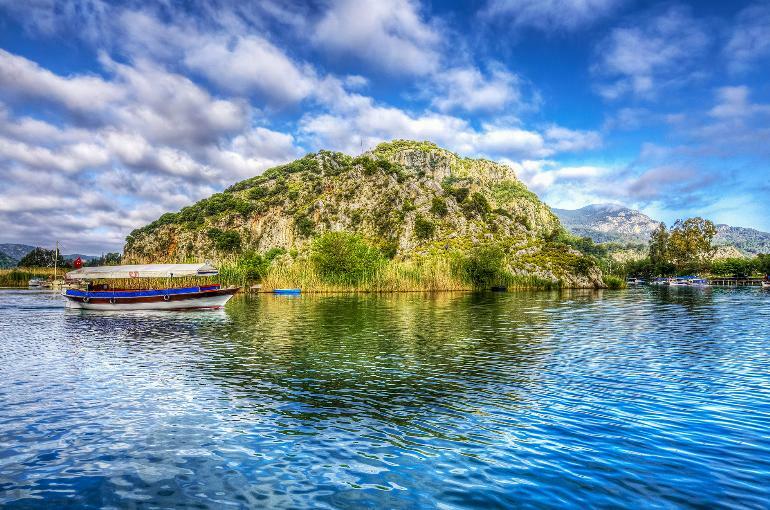 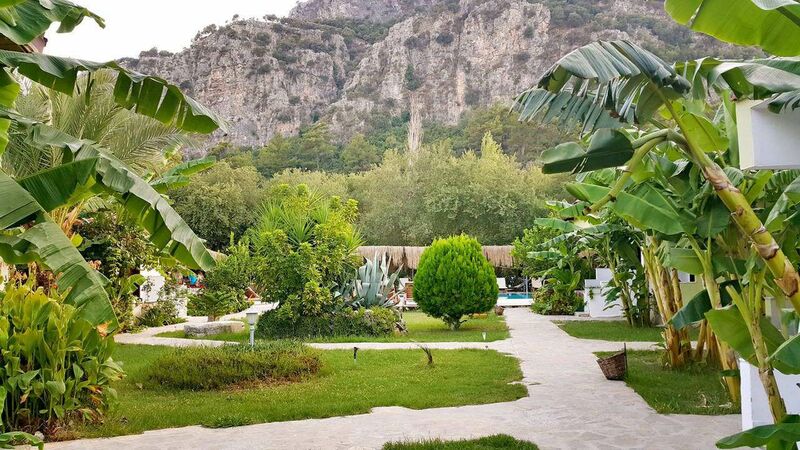 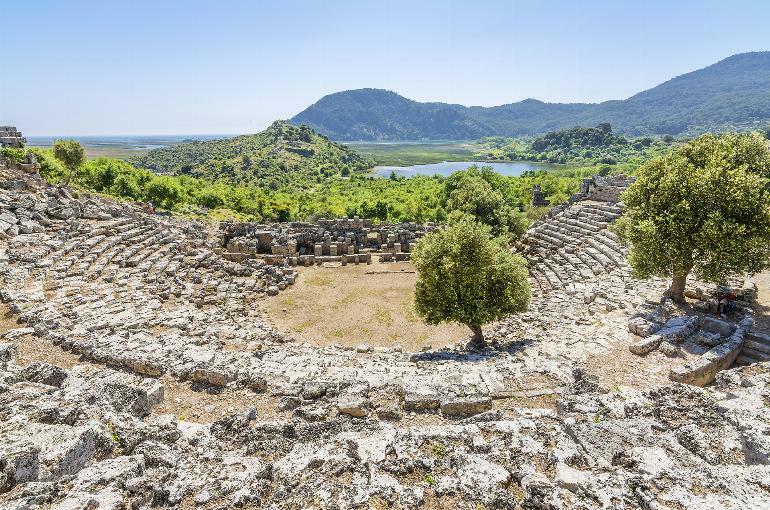 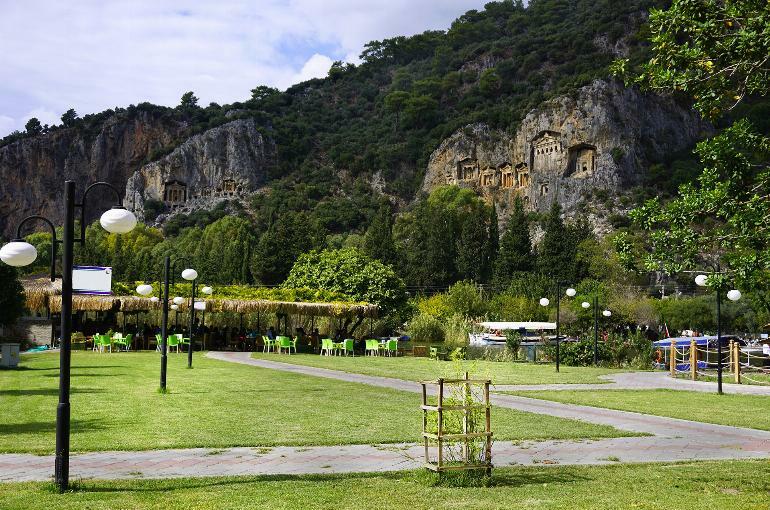 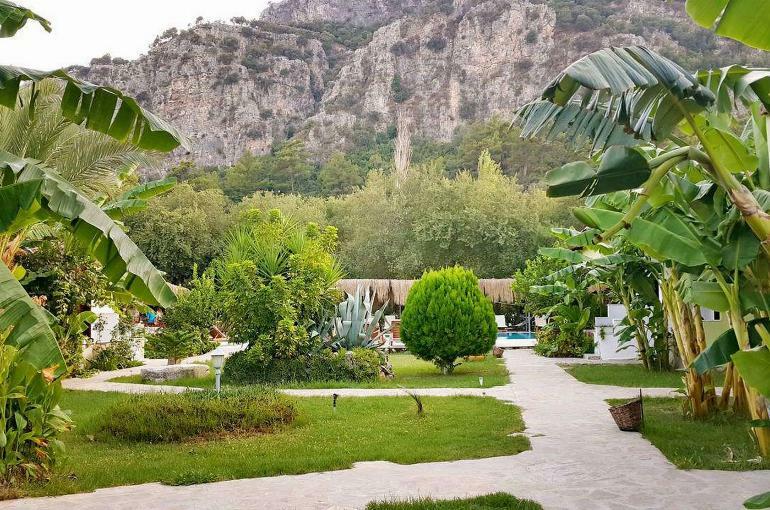 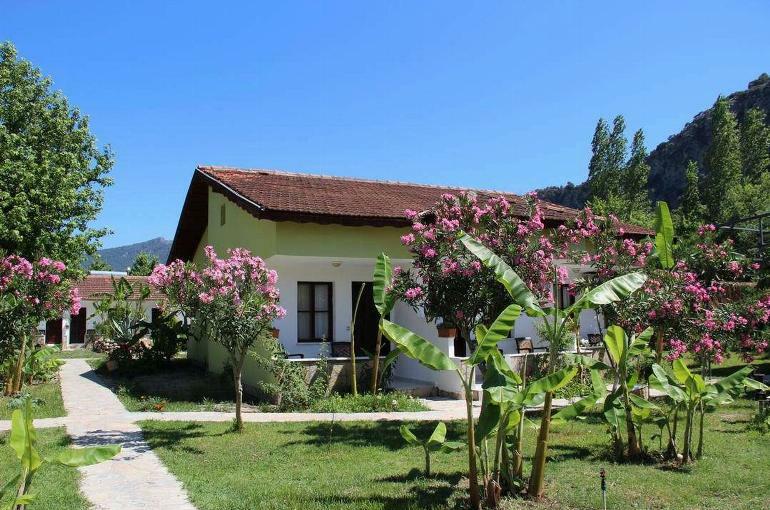 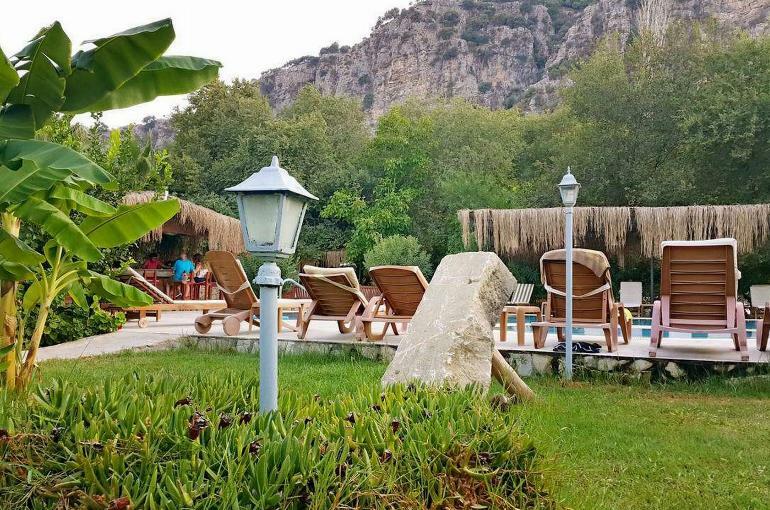 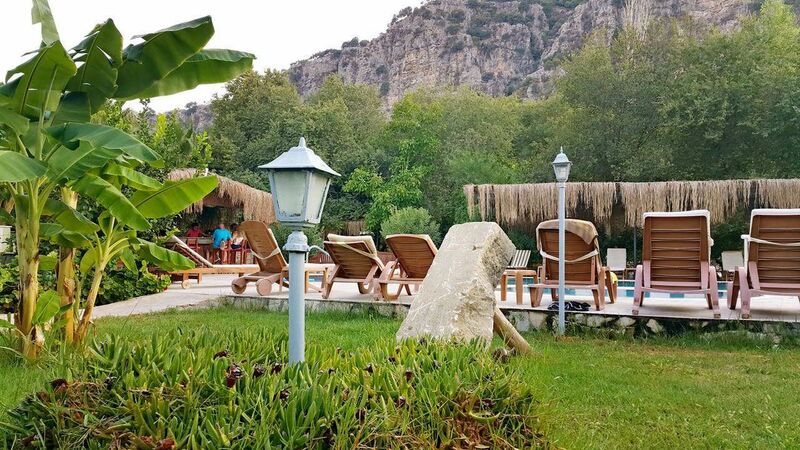 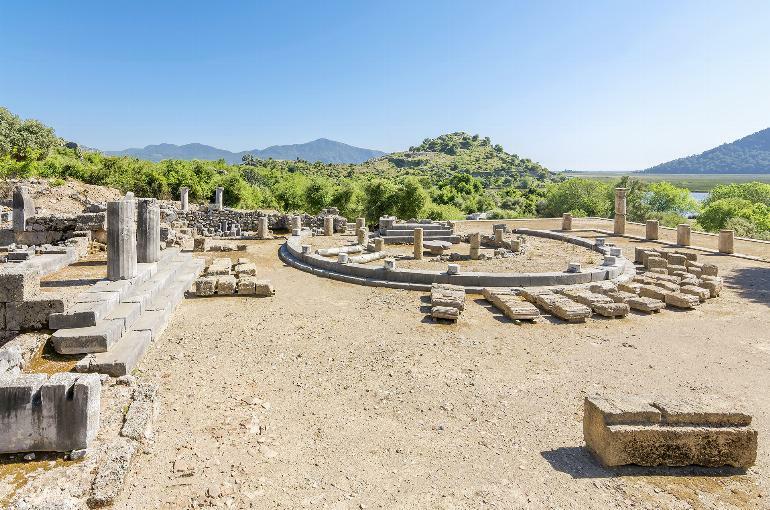 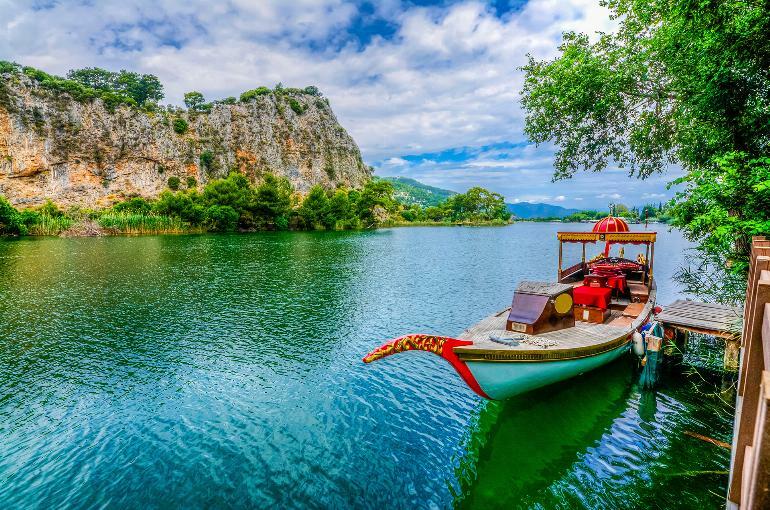 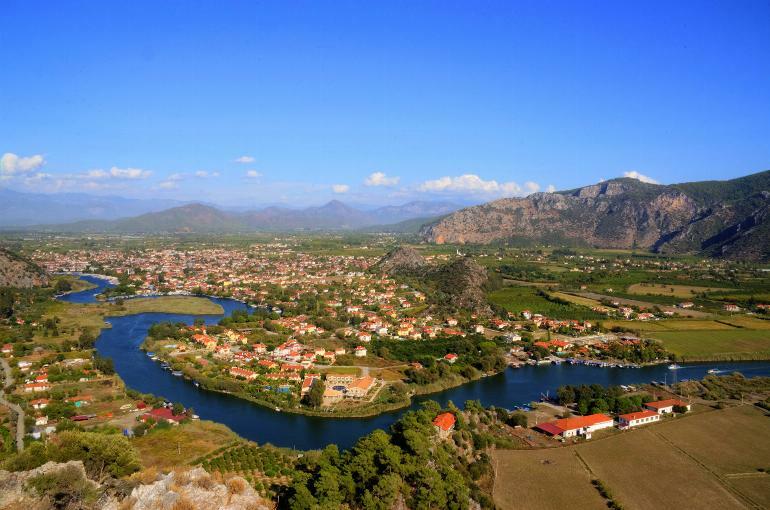 We’re delighted to feature Dalyan for the 20th consecutive year and returning guests (lots!) 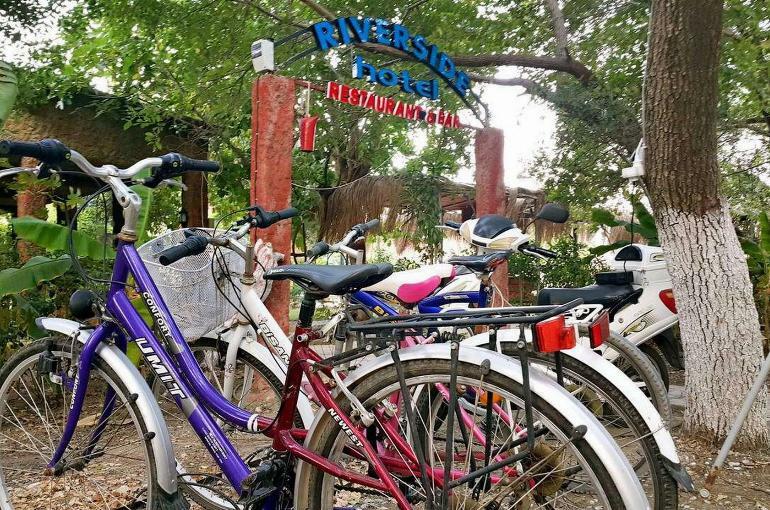 always tell us that the location of the Riverside is totally unique and it’s what makes the hotel such a wonderful holiday destination. 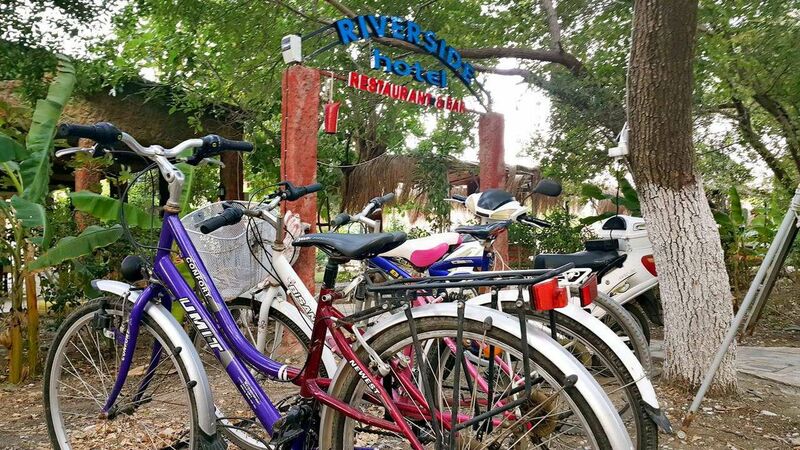 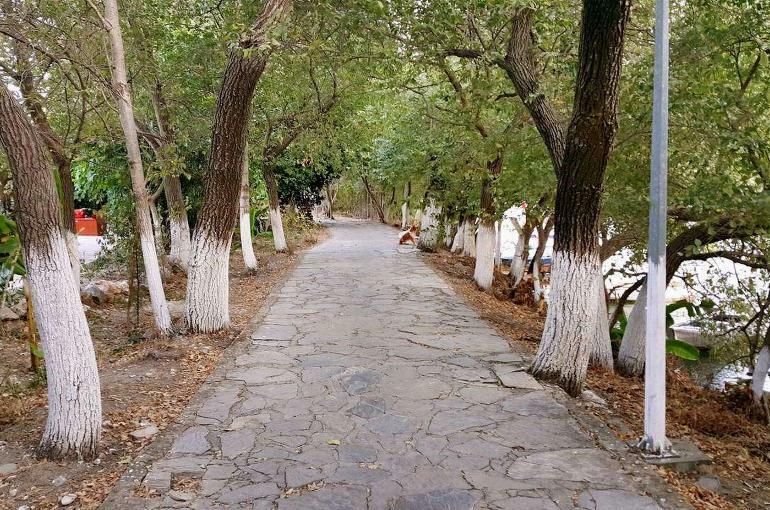 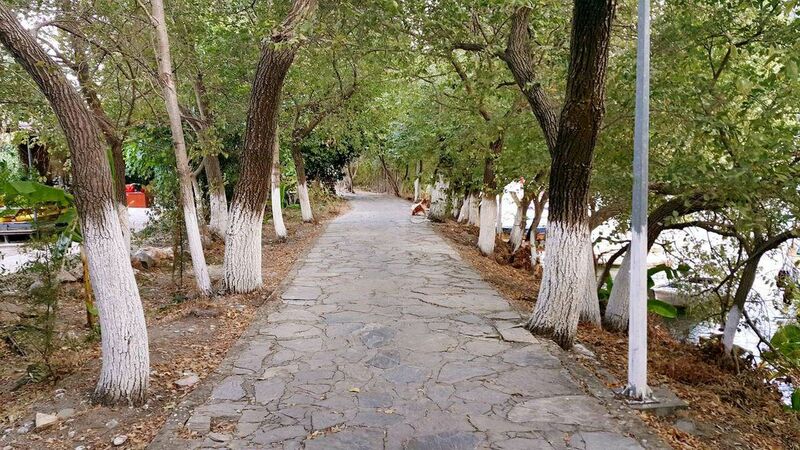 With its amazingly tranquil and picturesque setting and wonderful mountain and river views, the Riverside is ideally situated but it’s just a 15 minute stroll along the river bank promenade to the lively resort centre. 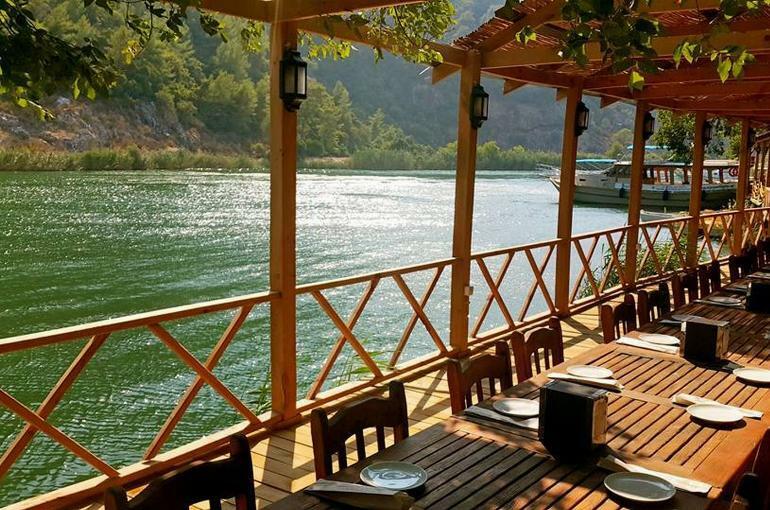 The hotel has its own private jetty overlooking the river where you can enjoy a drink or simply admire the stunning scenery. 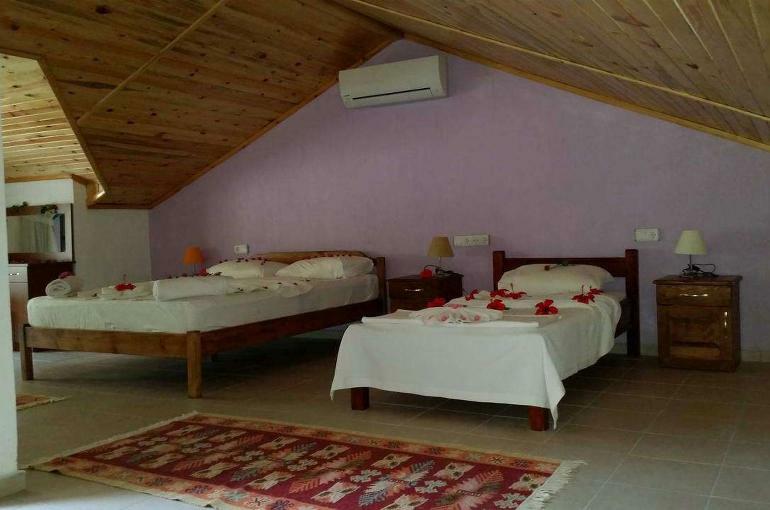 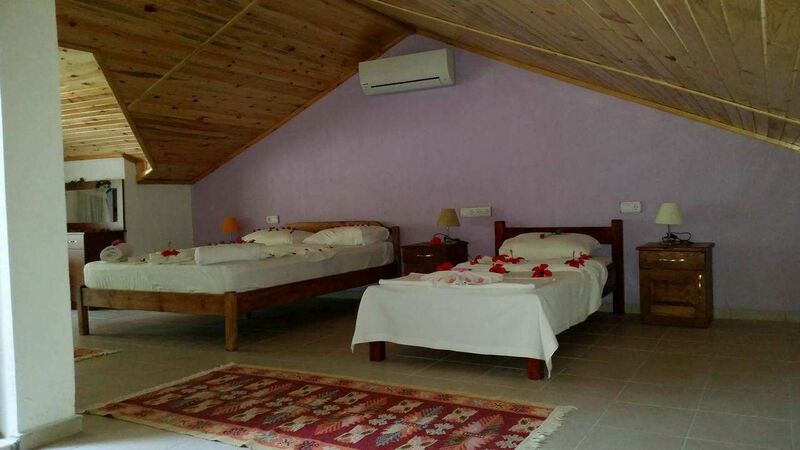 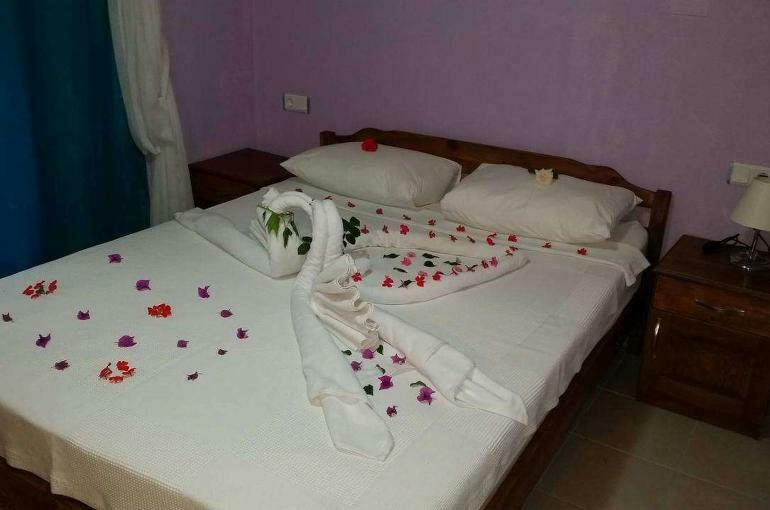 It’s a bungalow-style hotel with simple but comfortable bedrooms, all of which are air-conditioned (£4 per day supplement payable locally if used) and all with safety deposit box (payable locally), private shower/wc (& hairdryer) and all with a balcony or terrace. 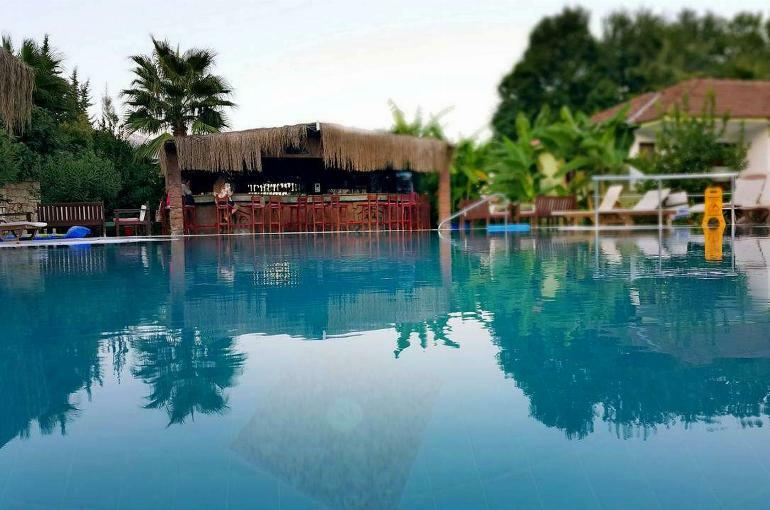 There’s an al fresco dining area for breakfast and dinner, complimentary wifi, a swimming pool, a pool bar, a large sun terrace with sunbeds and an open-till-late snack bar. 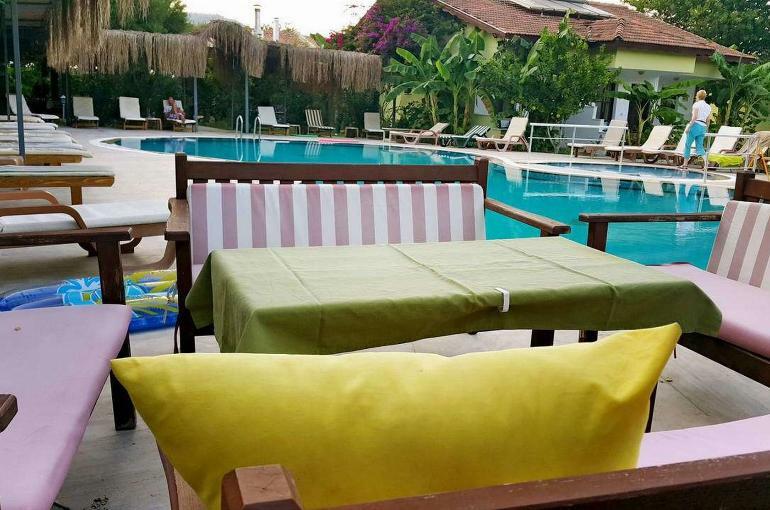 It’s all very informal, very friendly and the perfect place to enjoy a memorable holiday.